My name is Dan Lord, and I first want to thank you for all the information about Omega Speedmasters you make available on the Internet. You were/are an invaluable resource to me when I was learning about Speedmasters and preparing to purchase my own. Please call me Chuck... Mr. Maddox was my grandfather who has "moved on to the next big thing" as it were, and I'm not worthy of the title by comparison! =) As for the rest of it... It has become a sort of "Pay 'em now or pay 'em later situation... If I don't archive and make accessible the stuff I post I'll have to retype it in again a week or month later it seems. 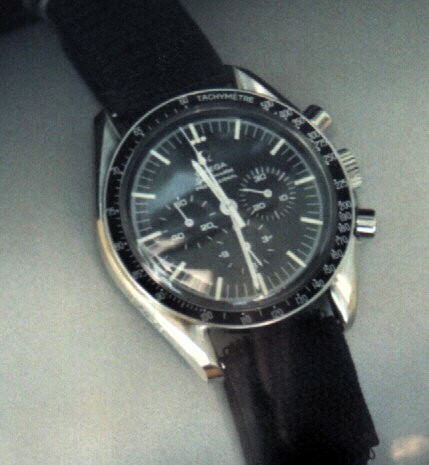 I am a frequent timezone.com visitor but infrequent poster on the Omega forum, and I want to bring some information to your attention that you might already be aware of, but nonetheless.... What Speedmaster calibre's that have been on the moon seems to be a constant question, and I might be able to shed a small amount of light on the subject. I am a volunteer at the Kansas Cosmosphere and Space Center in Hutchinson, Kansas. 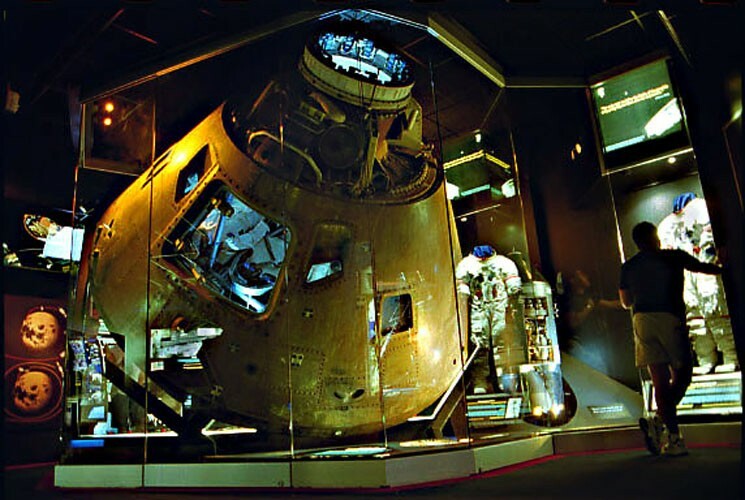 They are the number two space museum in the country behind the Smithsonian's Air and Space Museum and are well known for restoring the Apollo 13 and Liberty Bell 7 spacecraft. 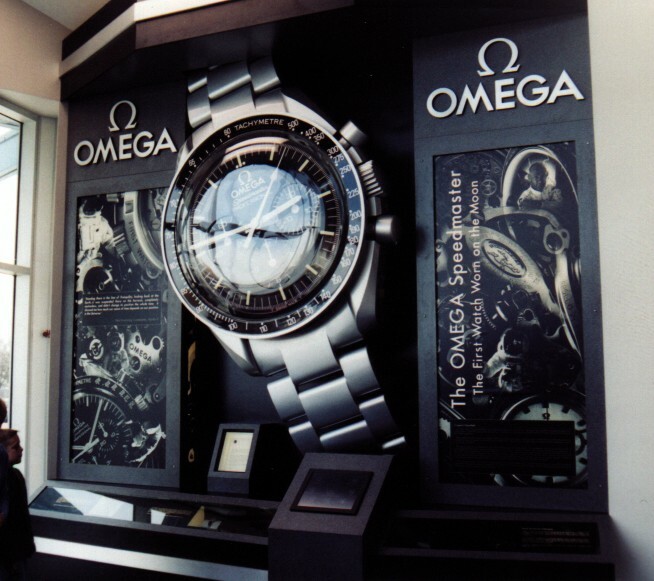 The Cosmosphere has two Speedmasters on display, and the large, wall hanging Speedmaster that other museums have as well. I have to say, I've heard of the museum out in the middle of nowhere that is renown for their work on returned aircraft in the past, I will have to make a pilgrimage someday... BTW... Where is Odyssey located these days? I'm not sure how long you've been around TZOF, but a number of us have made pilgrimages to the one moon rock that can be touched to rub a Speedmaster against it for good luck... I could see people wanting to do that with Odyssey as well! They have Alan Shepard's Speedmaster from Apollo 14 and Ron Evans', Command Module Pilot, from Apollo 17. Both of these Speedmasters appear to me to be of the 321 Calibre, based on the dials and applied logos. This might mean bad news for those hoping the 861 variety had visited the moon. I have attached photos of these watches. I apologize in advance for their quality, as I was using a film camera with the wrong lens for close up work, and this particular area of the Cosmosphere has a ton of windows, skylights and Plexiglas to drive even the seasoned photographer crazy. -- Alan Shepard's Speedmaster worn on the Moon. Boy, the photo's look fine from my standpoint! May I post/host them so that we can add to our knowledge base on the topic at hand? I have tried to strike up a conversation about Speedmasters with the individual in charge of the museum area of the Cosmosphere. He also wears a Speedmaster. I struck up our conversation by saying that he had a nice watch and then pointed to my own Speedmaster. I asked him if it was a 321 and he said that he "didn't know that much about them." I found that shocking, but probably shouldn't as most owners probably don't know the calibre of their watch. I would like nothing more than to get the chance to have them open the display case and take a closer look at Al's Speedy. However, the chances of that are pretty slim, yet alone the chance to unscrew the case and check out the movement. Well, it's pretty late on Easter night for me, and I've been charging at it (had dinner with family 150+ miles away today) since 6:45am... Let's put on our thinking caps and look into writing up a request for information or something similar. I hope that the photos and information prove to be useful and not redundant for you. Let me know if I can be of any help or answer any questions or ask any questions of the Cosmosphere staff. While I am just a volunteer there and give tours of the museum a few times per-month, I would be happy to help in any way I can. Oh, and let me know if I can host and post this information in the Omega Forum... The folks there have a voracious appetite for this sort of stuff! I'm pleased that you found the photos to be satisfactory. Thanks for the comeback... I've been busy on a couple of projects this morning and have finally got the first part of our conversation worked up and almost presentable... Would you care to look it over and let me know what you think? I don't want to shift my focus too much from working up the rest of it into a workable format for presentation for people to view and comment in the forum in a speedy (pardon the pun) fashion. So I'll keep my reply brief. I noticed a typo or two in my reply to you last night and I added a little bit but I don't believe it is a broad departure from the spirit or tone of my reply. The Odyssey is on permanent display at the Cosmosphere and I have attached a photo of it below. The photo is not mine, so please give credit to the proper individual. I have also attached a photo from the Cosmosphere website. Unfortunately, the Odyssey is totally encased behind glass and is therefore untouchable. While the Odyssey is technically titled to the Smithsonian, the Cosmosphere is it's permanent home. For twenty or so years, the Cosmosphere scoured government auctions looking for pieces of Odyssey and would purchase them. Their final step was to get the actual spacecraft to put the pieces in! Odyssey is the most complete Apollo spacecraft in the world at what I understand to be about 98% correct. I am going to have to get out there to visit sometime soon. It's been a while since I've done a road trip. It might be a good one to make. The Cosmosphere is going to also be the permanent home of Liberty Bell 7. Gus Grissom's spacecraft that sank to the bottom of the Atlantic. It is currently on a world tour with the Discovery Channel, but is visiting the Cosmosphere right now until the end of May and it will then not return until 2005. Liberty Bell 7 is the only spacecraft not titled to the Smithsonian. The Cosmosphere owns LB7 outright. Except for the Soviet stuff and the other items that NASA and the Government still retain I would expect. Still that's exceedingly notable. But back to the Speedmaster. The entire mission of the Cosmosphere is education, and the more I think about it, I would think that they would be happy to let us get some information off of their watches. They recently built a storage area/research center for their artifacts, so they are definitely in the business of sharing info and preservation of that information. And I believe that having your name behind me will help out quite a bit as the Unofficial Scholar of Omega Speedmasters. I will be there this Thursday, and I might hunt the collections director down. I've kind of been waiting for my initial meeting with him and my WIS nerd outburst to fade into memory. Take it at a pace you feel is best. We certainly don't want to spook anyone. 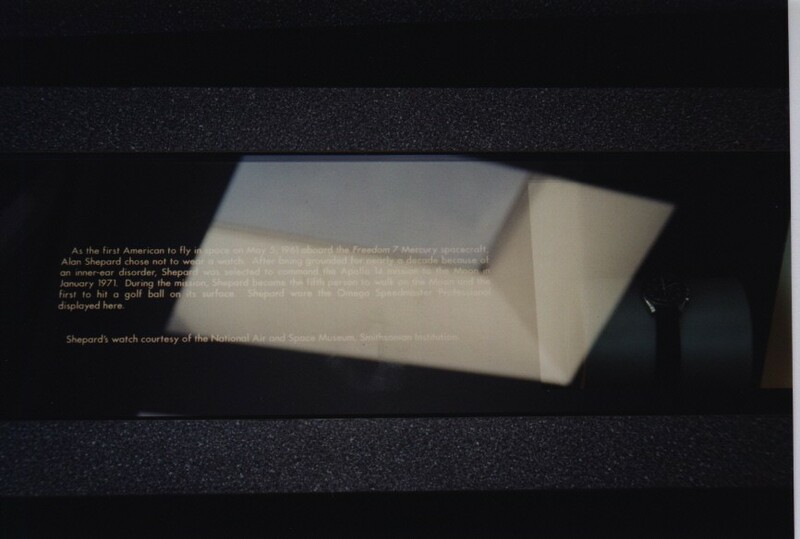 But I think that having a copy of some of my work (the Which Watches were worn, and the 35 years ago today) at the ready would be something that they would be interested in knowing about at the very least. You are more than welcome to use the photos I have sent. Please mention the Kansas Cosmosphere and Space Center in your posts/article. It's a wonderful organization with many great and dedicated people. OH! 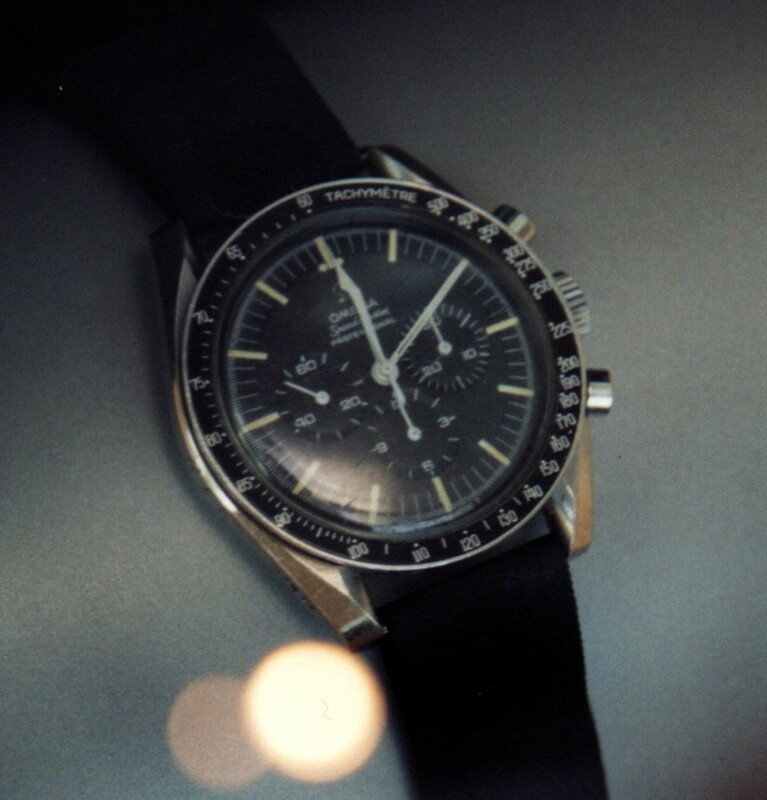 I have also attached something special for Speedmaster owners. The Cosmosphere has Ed White's spacesuit from his first space walk! No Speedy on the suit's wrist, however. Ed's spacesuit photo was taken by me and you may use it if you wish.